One of our happy clients recently referred a friend as part of Barbara and Ashley's Refer a Friend Program. In addition to providing top notch service and helping this new client find their dream home, we also made a donation of $500 to the Alzheimer’s Society Niagara Region which was the charity of the referrer's choice. Click on the image above to watch the video or click here. The holiday we love to hate and hate to love is fast approaching. Valentine’s Day doesn’t have to be an extravagant night out; simple and thoughtful often beats expensive and impersonal. Decide which budget bracket is realistic for you and plan a romantic night with your special someone. It’s true that the best things in life are free. Show your loved one that you care by planning a thoughtful evening that will create long lasting memories. Search the skate times for your public rink or better yet find an outdoor rink in your neighbourhood. Dust off your old skates or rent a pair (rentals typically range from $5.00- $10.00 per pair). Hold hands and skate around as if you were in the movie Serendipity. Warm up after skating with a nice glass of wine and some cozy blankets at home. No need to head out in the cold to an overpriced Karaoke bar when you can do it in the privacy of your own home. Download a Karaoke app and sing your heart out. The best part about doing Karaoke at home is that no one can hear you screeching out Backstreet Boys and Cher. Plus, the money you save on going out can go towards a bottle of wine. Skip the expensive gifts and make your own homemade presents. Some great options are candleholders, personalized photo frames or Valentine’s Day themed baking. If you aren’t crafty or gifted in the kitchen, make a playlist for a little romantic nostalgia. 1. Be your own TV Chef! A home cooked meal almost guarantees admiration. Take a look through old recipes from your favourite TV chef and find one that will dazzle the taste buds of your date. Because Valentine’s Day is on a Thursday this year, it only seems fitting to have a “Throwback Thursday” themed date. Depending on how elaborate your first date was you can always scale it back to remain on budget. Be tourists in your own backyard. Web search “top ten things to do in (name of your city/town)” and see the sites that you never have time to see. Plan to see as many you can (depending on admissions prices), and if you have some wiggle room in your budget then throw in a couple stops at breweries or wine bars. As the proverb goes, “give a man a fish and you feed him for a day. Teach a man to fish and you feed him for a lifetime”-- or as we like to say “give a man a lasagna and you feed him for day. Teach a man to make a lasagna and (hopefully) he will make it for a lifetime.” There is truly nothing more romantic than sipping on wine and cooking together. Take a look at cooking classes in your area, the average price ranges from $75.00- $200.00 for making a full-course Italian meal. Find something neither of you have done before such as a trapeze class, comedy/improv or a singing lesson. Not only will it be hilarious to scare the pants off your partner, it will be a great bonding activity for you both. The average price of a trapeze class is $75.00 for a private 1-hour class. One of our happy clients recently referred a friend as part of Barbara and Ashley's Refer a Friend Program. In addition to providing top notch service and helping this new client find their dream home, we also made a donation of $500 to the BIC Church in Port Colborne which was the charity of the referrer's choice. The BIC church in Port Colborne is more than just a church. They offer many programs throughout the community to people of all ages. They value integrity in relationships and mutual accountability in an atmosphere of grace, love, and acceptance. They were thrilled to receive this donation and will be using it to purchase new equipment for their youth programs. Wondering how you can help your community? If you can think of anyone in the area who might be interested in moving in the near future, please refer them to us. If they list or buy with us, upon the successful completion of their sale, we will make a $500 donation to the charity of your choice, providing you with the charitable tax receipt. 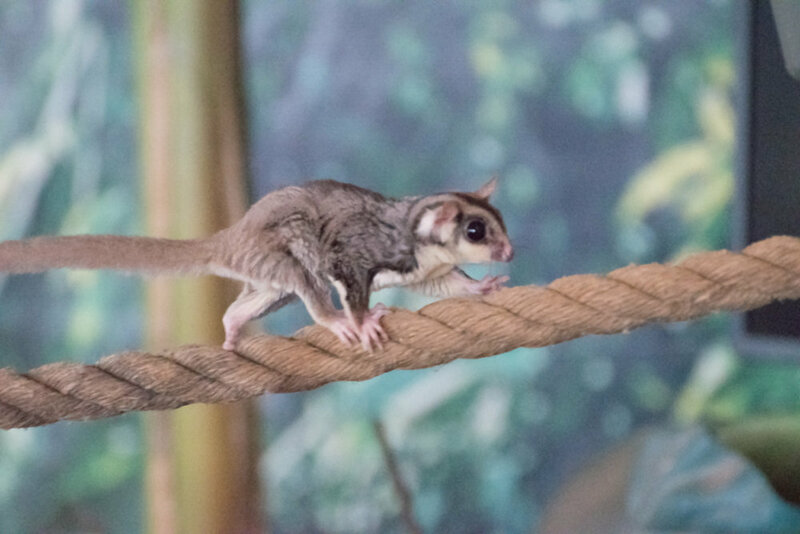 Heartland Forest is a nature education centre whose mission is to provide an interactive nature experience for all, building lifelong connections with nature through dynamic and inspiring programs. With a goal of preservation and sustainability they engage the hearts and minds of their staff, volunteers and visitors. To view the video in YouTube, click here. 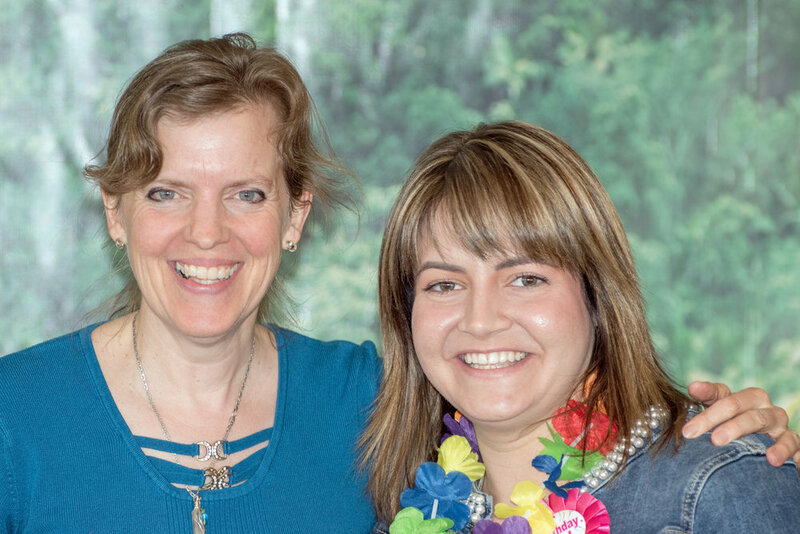 This year, Barbara Grumme and Ashley Czinege had one of the programme groups create artwork that were used in the creation of Niagara Executive Homes’ holiday cards. In return, Ashley and Barbara donated $1 for every card they sent out to Heartland Forest. Heartland Forest is a valuable member of the Niagara Falls community and if you would like to find out more about them, visit the nature trails or make a donation, please visit their website at: www.HeartlandForest.org. 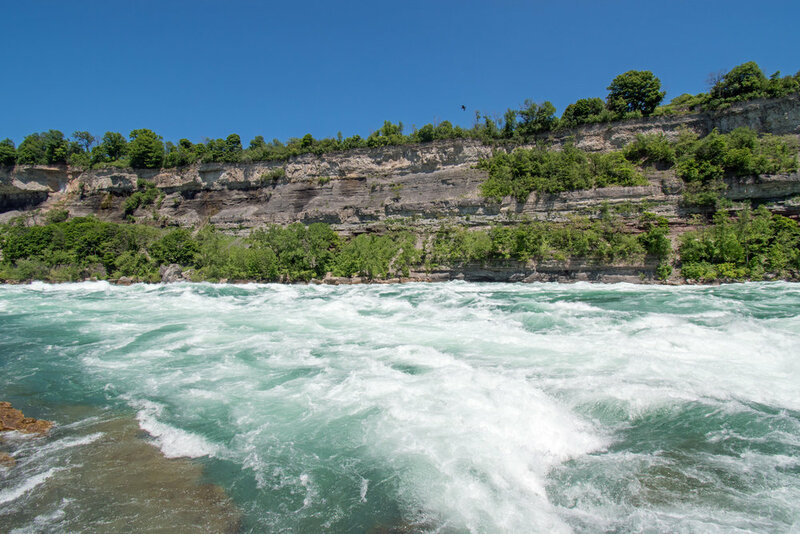 Experience a first-hand lesson in the raw power and peril of the Niagara River’s Class 6 white-water rapids. The roar of the river provides a deceptive calmness, the perfect ambiance for your walk among the many viewing platforms that put you right at the river’s edge. 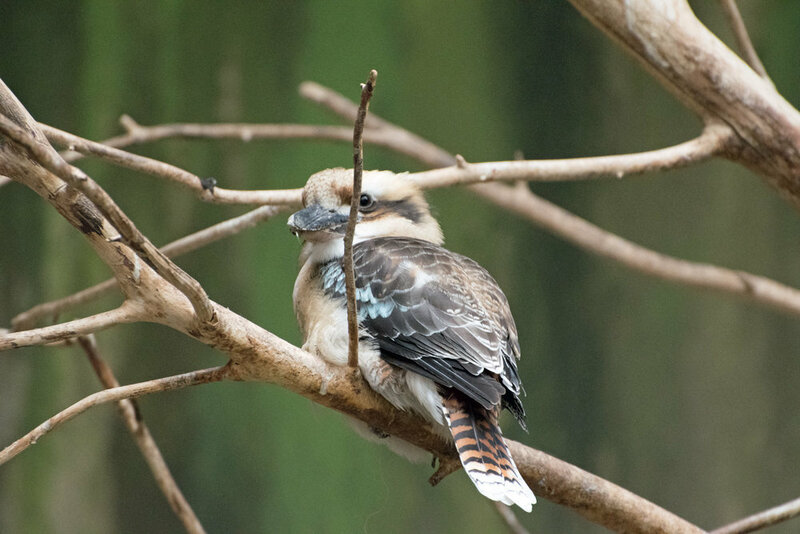 For those looking for an up-close and personal view of nature’s power, you will not want to miss this. 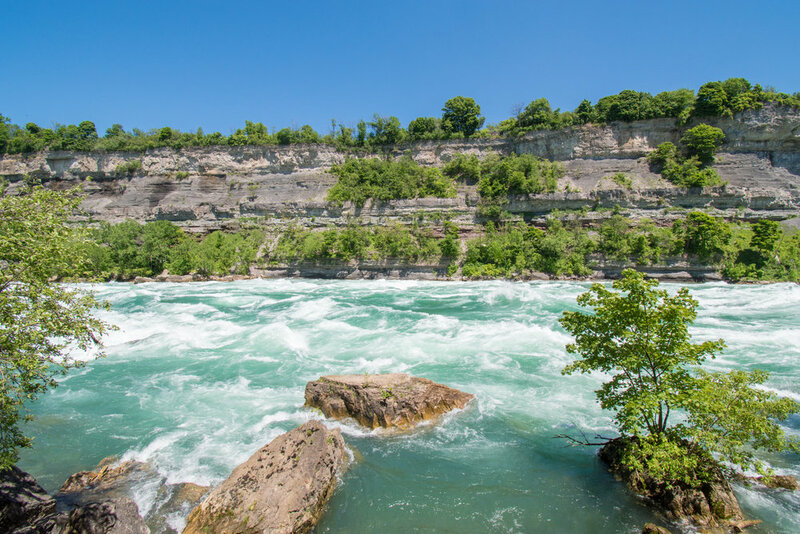 This self-guided tour includes many stories about the geology of the Niagara Gorge and the plant and animal life you may see on your visit to Niagara Parks. Summer is the season for fun in the sun and outdoor picnics are a popular summertime activity in Niagara. This is not surprising if we take into consideration the region’s unparalleled natural beauty, but when heading out for a picnic with family, friends, or a significant other this summer, remember to stay healthy while enjoying the great outdoors. 1. Bring plenty of hand sanitizer! While some picnic facilities have public restrooms, good soap and warm water are usually hard to find when you’re on a picnic. Hand sanitizers are a great way to kill the germs on your hands before eating or coming into contact with others, especially small children. When heading out for an all-day picnic, it can be tempting to bring lots and food and other knickknacks as you worry that you might need them all at some point during the day. Remember that the simplest options are both the easiest to carry and usually the healthiest ones. Instead of greasy foods and five-course meals, bring healthy alternatives like cherry tomatoes, grapes, berries, carrot sticks, celery, olives, cheese cubes, crackers, and sandwiches. When spending time outdoors on hot summer days perhaps the most important thing to remember is to stay hydrated. Drinking alcoholic beverages like beer may be tempting, but the most effective way to hydrate your body is with cool fresh water. Bring plenty of water in a cooler or frozen and leave it out to unfreeze before enjoying it. While cake, chocolate, and other calorie-rich foods sure taste great, when you are out for a long time on a hot summer day the healthiest and most refreshing option is fruit! Enjoy a slice of watermelon, some grapes, an apple, or a peach and you will feel refreshed without feeling guilty about consuming all those delicious calories. For more tips about planning a health picnic, or for ideas about great picnic spots in Niagara, feel free to contact me at Barbara.Grumme@century21.ca. In Canada, Father's Day is celebrated with lot of enthusiasm and fanfare. Since, the tradition of celebrating Fathers Day moved to Canada from US, Fathers Day in Canada is also celebrated on third Sunday of June. Just as in US, people in Canada too wear roses to express gratitude for their father. Traditionally, if the person is wearing red rose, it symbolizes the person's father is alive. Likewise, white rose means that the person's father has passed. Children in Canada express affection and honour for their dad by presenting them cards, flowers and chocolates. In modern times, several other gifts of love including neckties, shirts, electronic gadgets, stationery items, etc. are also gifted to father by loving children. Another noticeable trend about Fathers Day celebration in Canada is that apart from their biological father people wish “Happy Father's Day” to their grandfathers, stepfathers, foster father, uncles or any other man who is as affectionate and loving towards them as a father. Immense popularity of Fathers Day festival has turned the occasion commercial to a significant degree. Days before the festival markets wear a festival look as gift and card sellers try to lure the people and harp on the emotional significance of the occasion. Dining out with family is another popular Fathers Day tradition in Canada. No wonder, restaurants and eating joints witness a bumper rush on the occasion. 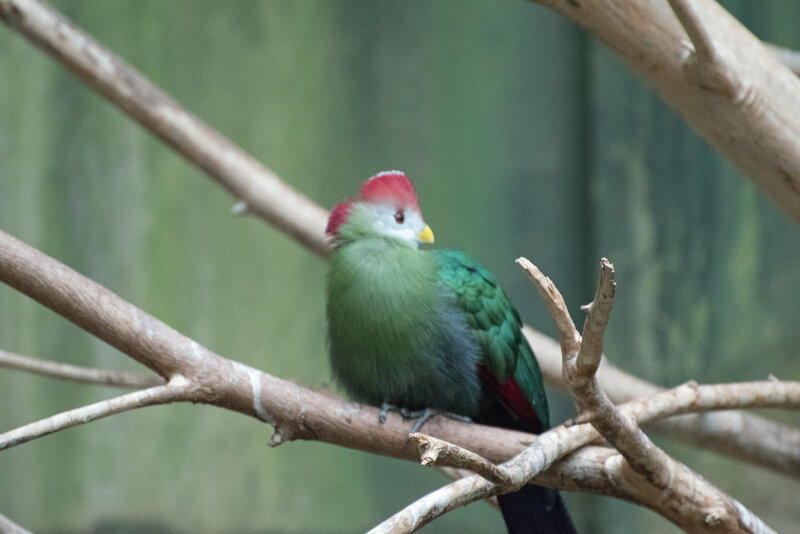 Be sure to bring your camera as you encounter exotic birds and animals up close in their natural habitats. With springtime upon is it is important to remember that relatively common plants such as the daffodil hold natural healing properties that are beneficial for our health. The daffodil is native to Europe and the British Isles, and it can be found growing throughout Europe and North America. Historically daffodils were appreciated for their beauty, but they were also widely used for the flower’s medicinal properties. Daffodils are an effective remedy for the cough and cold, and they are believed to have a positive effect on the liver and gallbladder. The plant is said to act as a natural antidepressant, antispasmodic, anti-inflammatory, and antioxidant, and it is also used in cosmetic products because of its positive effects on the skin and its pleasant smell. In addition, daffodils are said to be good for helping to speed up the healing of wounds. It is common practice in some parts of the world to apply crushed daffodils onto wounds and cuts for faster healing and drying. Applying daffodils may also have a soothing effect for people who have suffered burns to their skin. This spring when you see beautiful daffodils in bloom, remember that their benefits extend far beyond their pleasant appearance. Mother Nature is full of natural health benefits and remedies just waiting to be rediscovered, and if you would like to learn more please don’t hesitate to contact me at Barbara.Grumme@century21.ca. Although spring is here technically, you may not be seeing it outside. 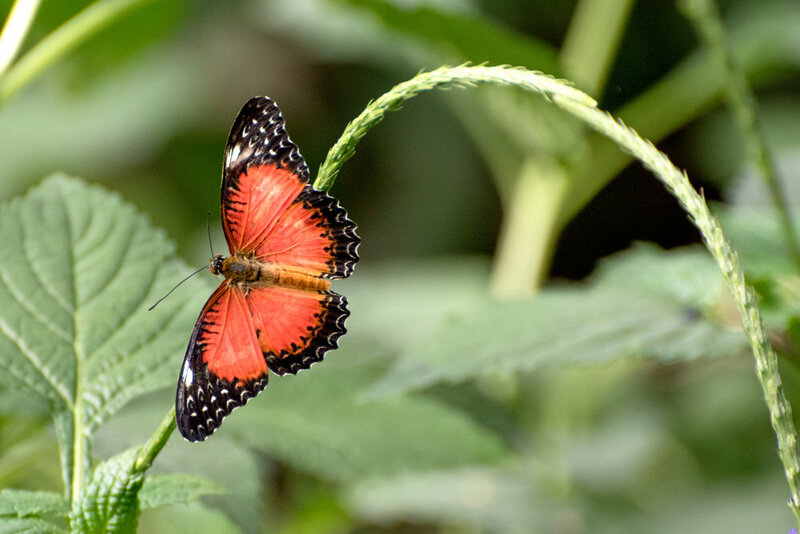 Why not visit the Butterfly Conservatory and get that taste of spring? 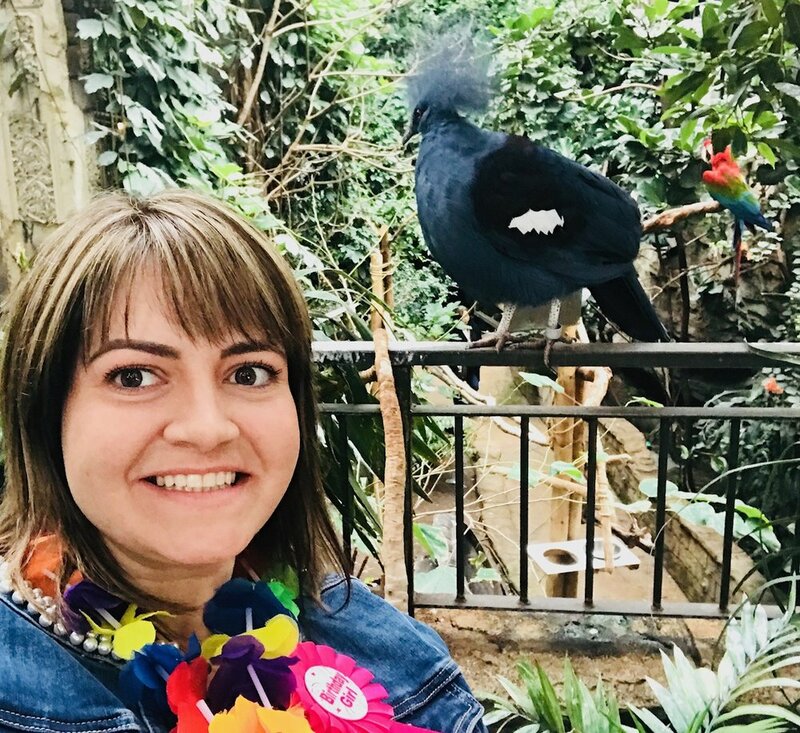 Located on the grounds of the Niagara Parks Botanical Gardens, visitors to the Butterfly Conservatory are transported to a tropical paradise full of lush vegetation, trickling waterfalls and thousands of vibrantly coloured butterflies. Over 2,000 butterflies, made up of 45 different species, call this beautiful space home. The self-guided walking tour of the Butterfly Conservatory begins with a short, informative video presentation. St. Patrick’s Day is almost upon us, but how much do most of us actually know about this special day? 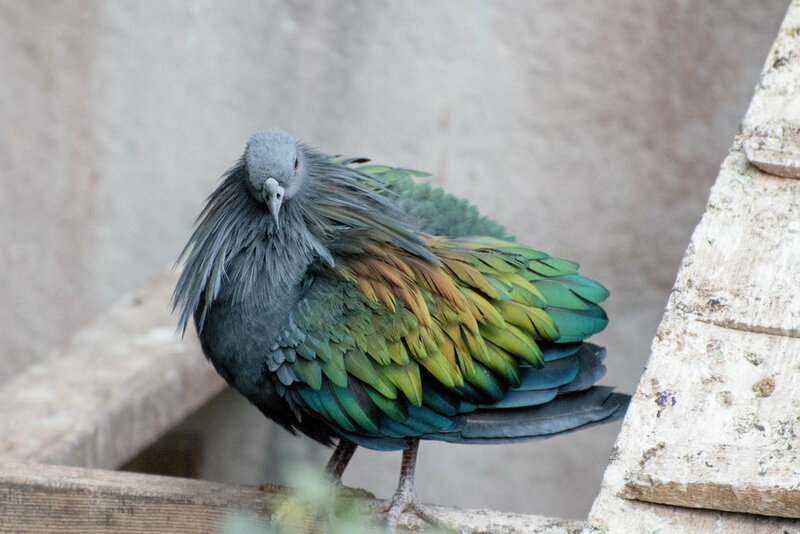 Here are 5 fun facts about St. Patrick’s Day that you might not have known about! 1. 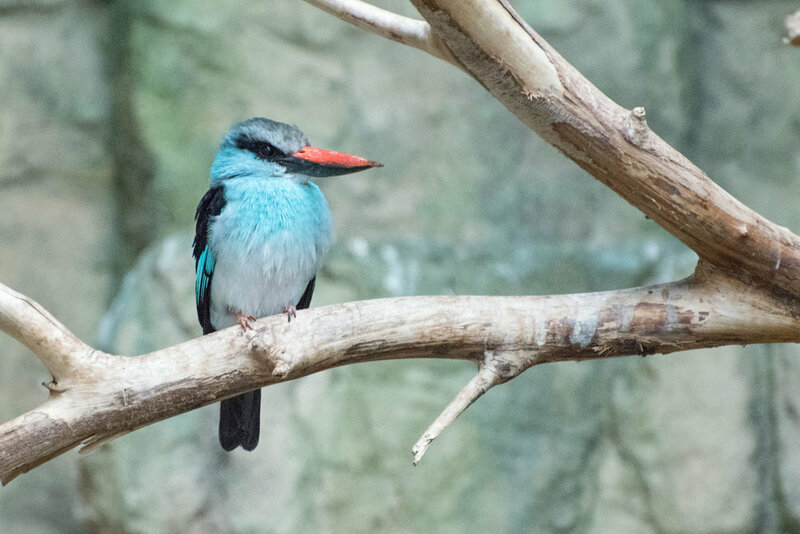 St. Patrick’s Day was once synonymous with the colour blue, not green! 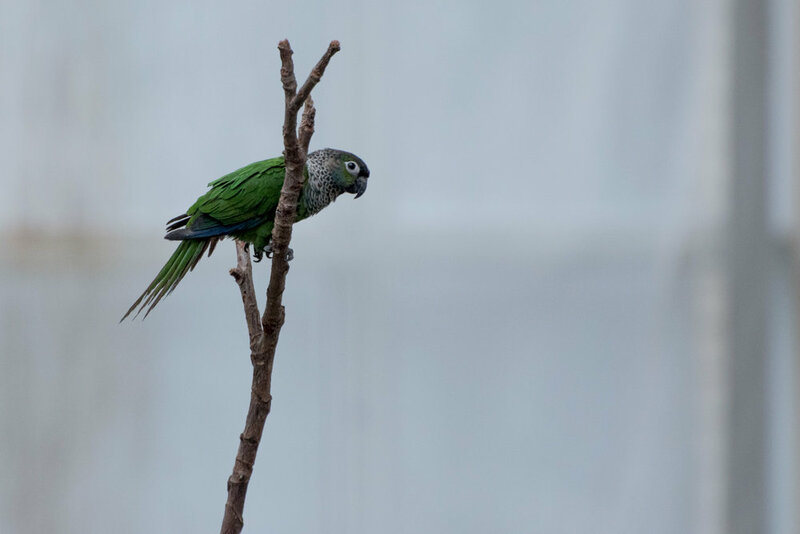 “Saint Patrick’s blue” was a light shade of blue that was associated with St. Patrick, but the colour green came to represent St. Patrick’s day in the late 18th century after the holiday became linked to the Irish independence movement. 2. St. Patrick wasn’t Irish! Although he is celebrated as the “Apostle of Ireland” and Ireland’s primary patron saint because he introduced Christianity to Ireland in 432 A.D., St. Patrick himself was most likely Welsh or Scottish. 3. The shamrock represents the Holy Trinity. St. Patrick is said to have used the three-leaved clover to explain the concept of the Holy Trinity (The Father, The Son, and The Holy Spirit) to the pagan Irish. 4. The first St. Patrick’s Day Parade dates back to the 1760s. The year 1762 is when the earliest known parade probably took place, and not in Ireland but in New York City! 5. Drinking alcohol on St. Patrick’s Day is a modern practice. Despite often being associated with drinking alcohol (and especially beer), St. Patrick’s Day was once a strictly religious holiday, and bars and pubs in Ireland were actually closed for business on March 17. It was only in 1970, when St. Patrick’s Day became a national holiday in Ireland, that the idea of drinking alcohol to mark the occasion really took root. Did you know all of these fun facts about St. Patrick’s Day? Before doing my research, I sure didn’t! Just remember: it takes more than the luck of the Irish to make money in real estate. When buying or selling your largest investment, having an experienced realtor on your side is the smartest bet. Feel free to give me a call anytime at 905-356-9100. From November 18th through January 31st Canada’s largest festival of lights will be on full display again right here in Niagara. Celebrating its 35th anniversary this year, the Winter Festival of Lights in Niagara is renowned for its impressive displays that feature over 2 million lights, and the magical sight is seen each year by about 1.5 million people! Every November the festival transforms Niagara Falls into a canvas of breathtaking colour with millions of sparkling lights and animated displays located within the Niagara Parks, Dufferin Islands, and surrounding tourist districts. Illuminations include fifteen Canadian Wildlife displays, over fifty trees wrapped in lights in Dufferin Islands, the world’s largest Canadian-American Flag, the light show on the Toronto Power Generating Station, the two-storey tall Zimmerman Fountain, three-dimensional Angels at the Niagara Parks Police Building, and a visitor favourite, Noah’s Ark. There are no admission fees to view the illuminations, and the festival features free entertainment programming for visitors, including the Fallsview Sound & Light Show at the Oakes Hotel, Laser Light Shows at the Top of Clifton Hill, and Winter Festival of Lights Opening Ceremonies in Niagara Parks Queen Victoria Park. For more information about the Winter Festival of Lights, including a detailed map of the 8km-long route that includes the times and locations for all events and attractions, please visit their website. Each year on November 11th Canadians come together to remember all of the soldiers who gave their lives in the line of duty since the First World War. On the 11th of November 1918 the signing of the Treaty of Versailles marked the official end of World War I. Referred to at the time as The Great War, World War I was one of the deadliest conflicts in human history, and November 11th became a solemn day of remembrance for the fallen. The poppy became the symbol of Remembrance Day in 1921 due to its prominence in the famous poem “In Flanders Fields”, written by Canadian physician Lieutenant-Colonel John McCrae. A commemorative ceremony honoring our brave Canadian soldiers, past and present. On Saturday November 11th @ 10:30 a.m. we will be honouring our Veterans who have passed and the ones still with us. All friends, family and anyone in the area that would like to join us in a beautiful Remembrance Day Service are welcome. Lunch will be served to resident's at 12:00-1:00 McPherson & Rant will entertain at 1:30 p.m. Service is located in the Theatre. The 14th Annual Heartland Forest Pumpkin Festival will be taking place on October 21st in Niagara Falls, and it will feature fun events and attractions for the entire family, including food trucks, children’s activities and rides, pumpkin carvings, and more. 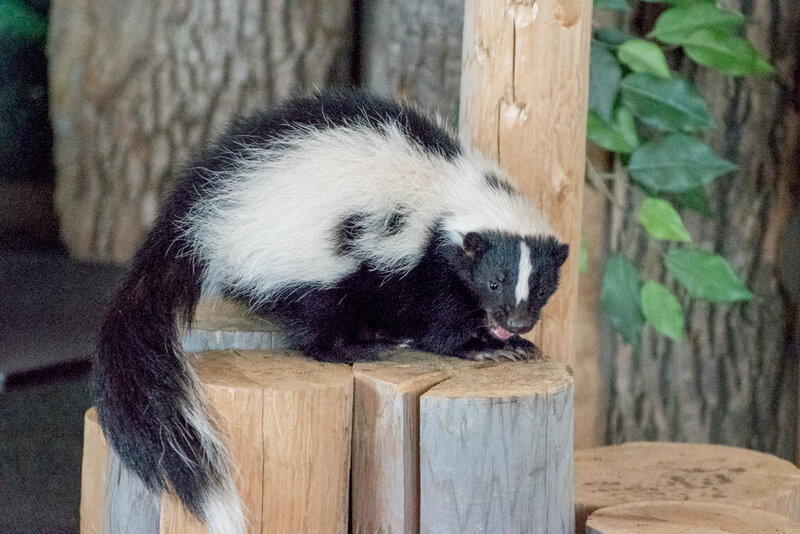 The admission is FREE and Heartland Forest is a beautiful natural sanctuary in the heart of Niagara Falls, so if you haven’t discovered it yet be sure to check it out. For more information click here, but in the meantime let’s look at some fun facts about pumpkins and why they have become such an iconic symbol of Autumn. 1. 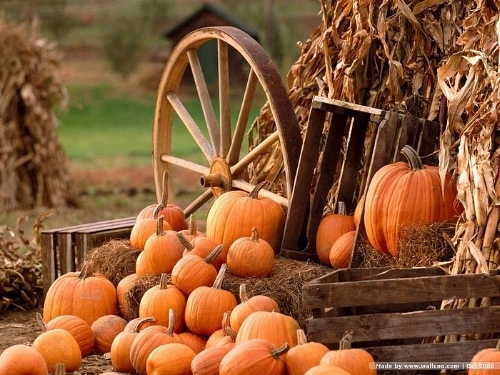 Pumpkins grow on every continent except for Antarctica, which is made up of barren tundra. 2. The vast majority of pumpkins in North America (around 80%) ripen only during the month of October, so it is no surprise that we associate pumpkins with this particular month. 3. Not all pumpkins are orange. In fact, there are 45 different varieties of pumpkins, and they can also be green, white, yellow, and red. 4. The tradition of carving pumpkins and lighting candles inside them is believed to originate in Ireland, where people would celebrate the Gaelic festival of Samhain by carving faces into turnips, beet and other root vegetables. 5. The name pumpkin comes from the French word pompon, which was adapted from "pepon”, the Greek word for "large melon." 6. Native Americans used pumpkin seeds for food and medicine, and they flattened the strips of pumpkins and dried them and made mats. As they grow all over the world, have medicinal and nutritional properties, and are steeped in many diverse traditions, it is no wonder that pumpkins continue to be such an iconic symbol of the harvest season and of Autumn in particular. For more information about the pumpkin harvest and pumpkin related events in Niagara, feel free to e-mail me at Barbara.Grumme@Century21.ca. Every summer Niagara Falls hosts a variety of wonderful community events that many locals don’t even know exist. For your convenience, here are just some of the Niagara Falls community events that you can look forward to in August. @ the Museum Thursday night presents: Documentary screening "Motel"
Recently premiered at the 2017 Hot Docs Canadian International Documentary Festival in Toronto, this film is about an old honeymoon motel turned into affordable housing. The film looks at the managers & residents as they try to build a positive and welcoming community. August 3, 10 & 31 @ 6-9pm Join local artist, Emily Andrews and take a step back in time to explore the history and technique of silhouette portraiture. A solo performance by professional concert pianist Gerardo Molina. He will perform a varied repertoire of classical music. Join us for a lively discussion of "Loving Frank" by Nancy Horan. A Community Oral History. Niagara Falls Public Library and Niagara Falls Museums are partnering to conduct round table local history discussions based on the photos from Canada 150: Niagara Falls - Then and Now. The Trudy Richard Memorial Co-ed Softball Tournament is being held Sunday August 20, 2017 at Patrick Cummings Memorial Sports Complex. Put a team together and come out in support of Ovarian Cancer Canada. For more information and even more events, visit https://niagarafalls.ca/events/calendar/default.ec. Canada 150 Signature Event Featuring Matthew Good - Free to Attend! Niagara Falls knows how to throw a party, and our Canada 150 Signature event will be a highlight of 150 Fun Fest in the Falls. On Saturday August 26th, Matthew Good will perform a free concert (a non-perishable food donation for Project SHARE is appreciated). Canada Day in Niagara Falls! This year we mark 150 years of Confederation, and in honor of the momentous occasion Niagara Falls is gearing up for some memorable Canada Day celebrations. The city is planning various festivities for the entire weekend, including the OPG Niagara Falls Canada Day Parade which will feature Rich Little, Derek Sanderson, and Marcel Dionne as Parade Grand Marshalls and Canada’s Next Designer and Niagara Falls native Marcy Mussari as a special guest. The OPG Canada Day Parade will begin at 11:00 a.m. on July 1st and run along Victoria to Queen, Ending at Crysler Ave. It will feature marching bands, giant inflatables, dancers, jugglers, colourful floats, and more! After that, a huge Canada Day Street Party will take place on Queen Street, with the Opening Ceremonies beginning at 12:30 pm on the City Hall Main Stage. There will also be massive fireworks displays throughout the weekend in Queen Victoria Park, and other amazing events will be taking place across the city, including car shows, art shows, and concerts. For more information on all of the specific events, you can read the full schedule on the City of Niagara Falls website by clicking here: https://www.niagarafalls.ca/events/annual-events/canada-day/entertainment.aspx. Have a safe long weekend and a wonderful Canada Day! Although today we have come to associate it with long weekends and barbecues, Victoria Day has been observed in Canada since 1845 as a way to honour the birthday of Queen Victoria, who was born on May 24th 1819. The holiday continues to be marked in various ways across Canada, and the observance of Victoria Day in this particular way has always been a distinctly Canadian tradition. Queen Victoria ruled for 63 years and seven months, longer than that of any of her predecessors, and this period is known as the Victorian Era. It was a period of industrial, cultural, political, scientific, and military change within the United Kingdom, and was marked by a great expansion of the British Empire. Following the death of Queen Victoria in 1901, May 24 was made by law to be known as Victoria Day, a date to remember the late queen, who was deemed the "Mother of Confederation”. Queen Victoria earned that name because of her close connection to the birth of a unified Canadian state. Before Confederation came about the Queen actively supported it. “I believe it will make [the provinces] great and prosperous”, she told Sir Charles Tupper, one of the principal fathers of Confederation. It was on 1st July 1867 that Queen Victoria proclaimed the Confederation of the first four provinces of Canada and summoned the first members of the Senate of the new Dominion. To underline the inseparable bond between Crown and Confederation, Sir John Alexander Macdonald, first Prime Minister of the new Canada, whom Queen Victoria received in audience on the eve of the great event, told her that the purpose of Confederation was “to declare in the most solemn and emphatic manner our resolve to be under the sovereignty of Your Majesty and your family forever”. Loyalty to the Crown was the keystone of Confederation, the only common bond that could overcome the strong sectional character and feelings of the provinces. Even the ship that carried the delegates from the Province of Canada to Prince Edward Island for the 1864 Charlottetown Conference that led to Confederation was named the Queen Victoria. The Victorian Era was a long period of peace, prosperity, "refined sensibilities" and national self-confidence for the United Kingdom. Culturally there was a transition away from the rationalism of the Georgian period and toward romanticism and mysticism with regard to religion, social values, and arts. Gothic Revival architecture became increasingly significant during the period, leading to the Battle of the Styles between Gothic and Classical ideals. It was during the Victorian Era that tea became very popular. In fact, it became so widely liked that ale was displaced as the most favourite of all beverages and tea reigned supreme. The drinking of tea led to the birth of a thing beyond a mere habit or addiction. It became a culture. It was during this time that the term “High Tea” was born. MAY IN NIAGARA FALLS: 5 THINGS TO DO! May is one of the most beautiful months in Niagara, bringing warm and pleasant weather along with colorful spring plants and flowers. 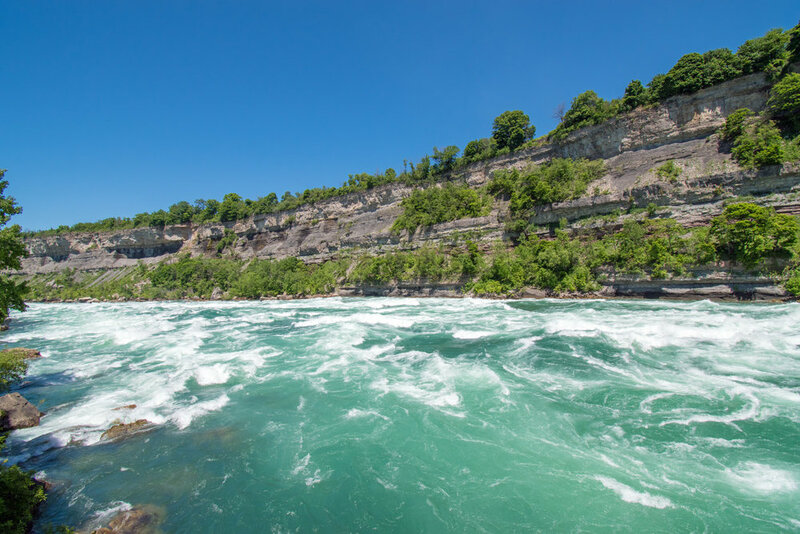 If you are visiting Niagara Falls this spring and you aren’t sure what to spend your time on aside from admiring the Falls themselves, here are 5 great things to do while in Niagara. 1) Nightly Illumination – If you are visiting from out of town, you may not know that Niagara Falls is quite the spectacle even at night. When the sun goes down the Falls are illuminated with colourful lighting in order to enhance your viewing experience, and you can even enjoy regular firework displays in the Niagara Falls tourist area. 2) Enjoy the Flowers – Spring is the perfect time to take in the colourful plants and flowers of Niagara, and if you visit the Floral Clock and Floral Showhouse in Niagara Falls you will see the World’s Tallest Flower and a wide variety of other plants and flowers. 3) Victoria Day Fireworks Spectacular – If you are visiting Niagara Falls on Victoria Day, you can experience the special Victoria Day and Memorial Day Fireworks display that is simply stunning to watch, and it is sure to make your long weekend an unforgettable one! 4) Perfect Time for Golf – If you really want to take advantage of the warm weather, you can book a Niagara Falls Golf Getaway Package at one of Niagara’s premier golf courses. For more information, visit: http://niagarafallsgolfadventures.com/. 5) Hike the Niagara Escarpment – Experience unspoiled natural beauty by hiking the Niagara Escarpment, a UNESCO World Biosphere Reserve. 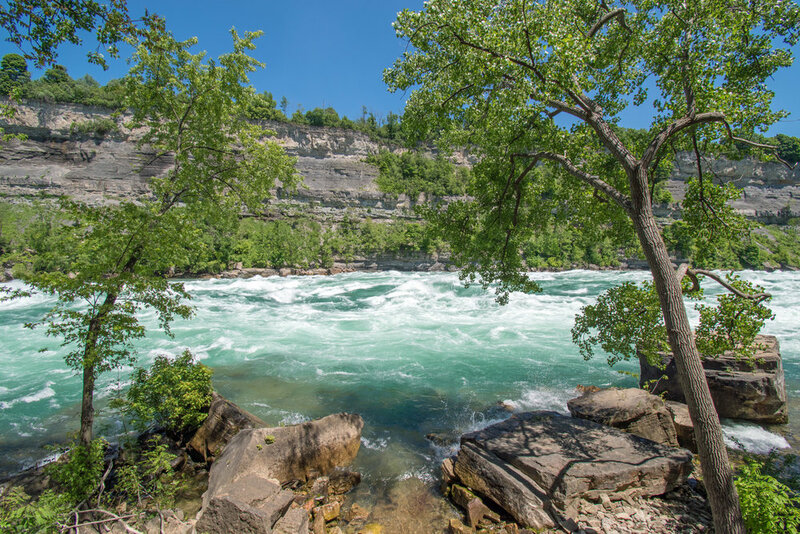 Walk along the Bruce Trail, the famous footpath that connects parks, Niagara landmarks, wineries and forests, and practice healthy living while taking in the incredible sights and sounds of Niagara. 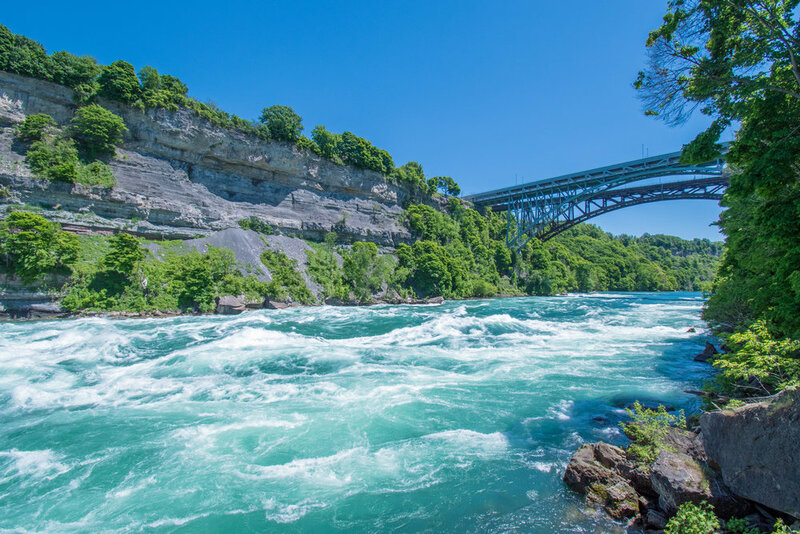 Enjoy your stay in Niagara Falls, and if you would like any further information please don’t hesitate to contact me at Barbara.Grumme@century21.ca. DISCOVER THE HEARTLAND FOREST FROGFEST!